The most recent (2016) global study by BMC Software, the largest study of its kind, found that 89% of technology executives see long-term viability for the mainframe and 58% predict an increase in mainframe usage. Mainframes are seen as powerful, stable, secure and available – all of which are essential attributes in a growing threat landscape. The importance placed on the mainframe is as true in the public sector as it is in the private. Mainframes run ‘legacy’ applications but are also core to a growing proportion of new applications accessed via mobile devices. This is leading to the development of fresh delivery models such as ‘as a service’ that provide consumption-based pricing typically utilizing shared resources. 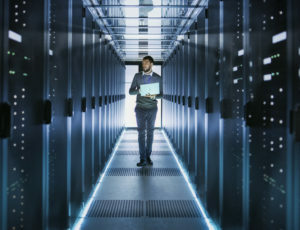 NASCIO (the National Association of State CIOs) recently asked states about their interest in mainframe-as-a-service and more than 50% responded that they had adopted a MaaS solution … or were actively moving in that direction. Integris Applied has supported several states in finding and implementing new approaches to the mainframe. We have supported state procurement processes, identified new market based solutions, and helped achieve cost savings in excess of 20%. For example, one of our clients wanted market-based services with consumption-based pricing and increased flexibility. With our help it implemented a competitive procurement that attracted multiple qualified respondents. We then supported the selection of an appropriate service provider that is now delivering a completely refreshed environment and achieving targets in improved pricing, operational transparency and enhanced disaster recovery. Another client needed to update its entire delivery model. Old contract structures and dated supplier capabilities required a new market based, agency-centric approach to service delivery. With our support, this state technology agency implemented a competitive procurement that has led to significant cost savings and is driving the migration from a legacy data-center to a new state-of-the-art facility. We know that CIOs are looking for variable cost structures and flexible operational environments. As workloads flex up (and down) the technology needs to be able to adapt to the changes, and this is especially true in the data center. A 2007 NASCIO study found that 14% of states had completed data center consolidation, 38% had made partial progress and 24% were in the planning phase. Fast-forward to 2016 and the same study found that 42% had now completed consolidation (a threefold increase), but 47% said it was still ongoing, and 11% said it was still planned. Ten years on, the data center continues to evolve and remains an area ripe for optimization. We believe that the data center generally, and the mainframe specifically, will be important elements of state government IT for many years to come. Some states are managing the graceful decline of the mainframe while others are maintaining an environment where the role is evolving. Whether it is a new mainframe solution or a roadmap to broader data-center strategies, Integris Applied stand ready to help you on your journey.